Distracted driving is one of those umbrella terms that includes a whole range of potential habits and activities. Of course, in today’s modern age, we are all aware of the ubiquitous usage of smart phones. These ingenious devices allow us to access seemingly limitless knowledge whenever we want – even when we’re driving. In fact, according to data collected by Zendrive, drivers use their phones during 88 percent of their trips. We just can’t seem to wait for the pit stop to text our friends or change the song on Spotify. Each of these categories implies specific risks, requiring particular counter-behaviors to help avoid unnecessary accidents. This category refers to any behavior that forces you to take your eyes off the road. This could mean turning to see the glorious mountain vista, reaching down to pick up a bag of chips, adjusting controls in the vehicle or applying make-up while on the road. The obvious counter-measure is to keep your eyes on the road at all times. Zendrive, and other researchers, have found that a mere two seconds of taking your eyes off the road can increase your chances of getting into a collision by a factor of 20. And as pointed out by the National Highway Traffic Safety Administration (NHTSA), driving for five seconds at 55 mph is like driving more than the length of a football field – a lot can happen in that short span of time. So instead of reading instructions or checking a map with your foot on the accelerator, pull over to get the information you need and then recommence your journey with zero visual distractions. Manual distractions refer to any behavior that causes you to remove one or both of your hands from the steering wheel. This might include eating, drinking, smoking, adjusting the radio, searching the backseat with your hand to retrieve your sweater and anything else that gives you less control of the steering wheel. The key here is probably obvious, but deserves saying: make all the necessary adjustments prior to your journey. Eat your food, smoke your cigarette (though you should probably avoid that altogether) and do anything you need to do before getting behind the wheel. This is a good way to avoid manual distractions. Finally, cognitive distractions refer to those activities that cause our minds to wander away from the task at hand. This means super intense political conversations that pull your mental focus away from driving might be better suited for a different venue. This type of distraction also includes intoxication, daydreaming and potentially drowsiness, though according to the DMV, fatigue is often treated as a separate issue altogether. The bottom line is to stay calm, avoid phone conversations (even hands-free ones), and put your focus where it belongs: on the road. 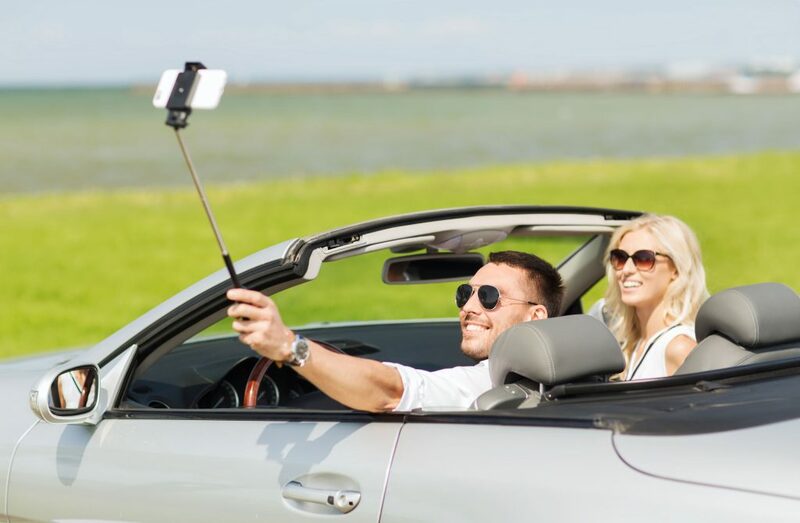 It may seem extreme to say that daydreaming is off limits, but as noted by Levanthal Sar LLC, wandering minds are responsible for six times more collisions than cell phones, which account for only 12 percent of distracted driving cases. Potential solutions range from technological intervention to state-implemented policies. At the state level, measures have been introduced all over the country. Last year, in Pennsylvania, Governor Thomas Wolf signed “Daniel’s Law,” which intensifies penalties for distracted driving that causes extreme injuries or death. And to enhance knowledge about distracted driving, different technologies such as “end-to-end deep learning” have been employed to collect data about risky behaviors. Eventually, some scientists hope to develop a car that can intervene when those behaviors are underway. If you have been injured in a motor vehicle collision caused by a distracted driver, you should consult with one of the skilled personal injury attorneys listed in this directory.